If you need serious legal defense, get the help you need from Mark L. Miller, attorney at law. As a former Assistant US Attorney, former Chief of the Criminal Division and former US Attorney, Miller has extensive experience in the federal justice system. As a former First Assistant Commonwealth’s Attorney in Jefferson County, and Commissioner of the Kentucky State Police, he has considerable experience in state courts. As a retired Judge Advocate General (JAG), Mark Miller has provided twenty years of service to members of the military and their families. After over two decades of public service working in the government, he is now extending his considerable skills and experience to individuals in the private sector. 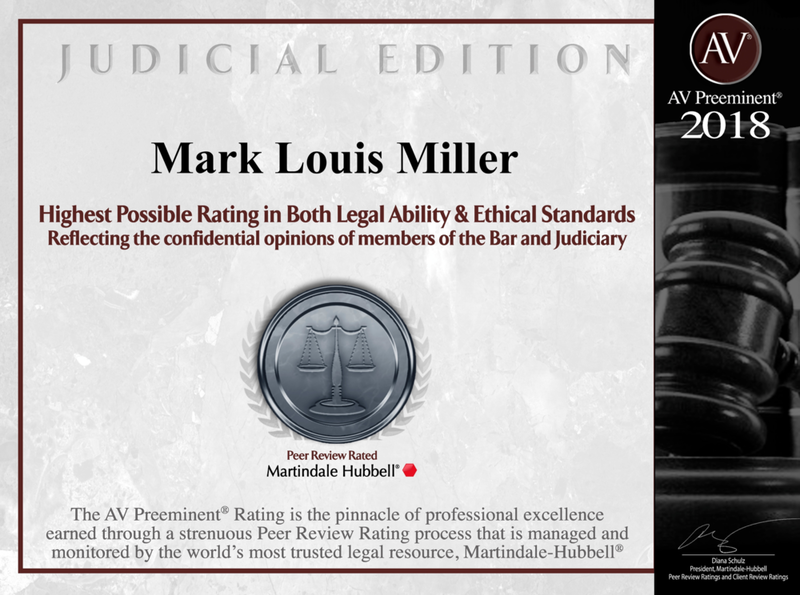 Mark Miller has served as an adjunct instructor at a number of local universities and colleges, including University of Louisville Brandies School of Law, Spalding University, Jefferson Community and Technical College and Sullivan University. Over the years, Mark Miller has provided instructional training to a number of law enforcement organizations, including LMPD, KSP, National Sheriff's Association, and various law enforcement conferences. Mark Miller is a member of the National Association of Former US Attorneys, Reserve Officers Association, Kentucky Association of Chiefs of Police, Kentucky Peace Officers Association, Kentucky State Police Retirees Association, Kentucky Bar Association, Louisville Bar Association, and former member of the Louisville/Jefferson County Crime Commission. Put Mark Miller’s integrity, knowledge and extensive experience to work for you. Regardless of the gravity of your particular legal case, Mark Miller has the experience you need. Contact us today to schedule a free first time consultation.